After making the initial decision to explore your ancestry and genetic origins, you are faced with a multitude of nuances, separating one ancestry DNA testing company from the next. iGENEA and AncestryDNA are both excellent choices for the task at hand, but one will certainly come out on top once you identify your specific needs and expectations. Their services, although high-quality and professional, differ in small but important aspects, even though they seemingly do the same thing. Our comparison will help you spot those differences between iGENEA and AncestryDNA, allowing you to make an optimal and fully personalized choice. iGENEA is a Swiss DNA testing company launched in 2006. It was born out of its founder's aspirations to unlock her Polish/Jewish origins by using historical and genetic scientific breakthroughs. 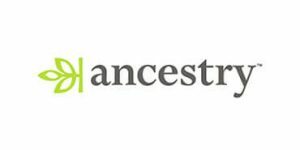 AncestryDNA is a genetic test developed by Ancestry, the largest genealogical enterprise in the world. The results are backed by various genealogical sources, forming a complete picture of your ancient/recent ancestry. iGENEA offers the following ancestry DNA testing solutions: - iGENEA Basic - iGENEA Premium - iGENEA Expert Depending on your chosen test, iGeneal will provide you with knowledge about your ancient genetic ancestry, a variety of geographic maps indicating relevant places for your genetic signature, and exhaustive information about your direct maternal and paternal lineages. With iGenea, you don't have to worry about your privacy and the security of your personal information or test results. The company adheres to Swiss law on data protection and the Federal Act on Data Protection when it comes to the collection and usage of your personal data. AncestryDNA offers one ancestry DNA test - Ancestry DNA Test. Your final report will provide you with a detailed breakdown of your ancestry. You can also complement your results with billions of genealogical records in the company's database. With AncestryDNA, you are 100% in charge of your DNA testing kit, your samples, and your personal data from the moment you place your order until you receive your final results. You control who can access your data and the company will never try to interfere with your administration or sell your sensitive info to third parties. You can also transfer your administrator rights to another person if you so choose. Try and avoid using this service. Igenea released a falsified report on Slavic Macedonian DNA claiming that it was related to Ancient Macedonian. They could not provide an ancient macedonian marker or reference point because it does not exist. They were paid by the VMRO a considerable amount of money to release a falsified report. Roman Scholz is a shonk and he cannot provide the reference material. Fraudulent firm and fraudulent findings. Do not waste your money. I definitely discovered a lot about my jewish ancestors but the test was so damn expensive. The whole procedure was pretty quick and I even got the hard copy of the results. The site is just a mess I couldn't find anything I wanted to know so I had to call the support guys to help me out. AncestryDNA is a complete rip off. Everything they told us, we knew from googling our last name (which I had done). They did not include anything outside of that information. They did not include anything from my Native American ancestry at all. A person can look at me and tell it's there. I certainly do not look like I am completely Irish and British considering my dark skin, hair, and eyes. What a total waste of time and money. I do not recommend ever using them. There has to be more reputable companies out there. I have been really disappointed with my results!!!! I am 100% sure I am half Russian and half Italian but the results showed that I am 0% Russian an 27% Italian. Even my Native American results (which were 1%) were higher than Russian! I can not believe it, because my mums side is fully Russian. I hope the company will improve in the future. After testing with Family Tree DNA, my husband and I decided to expand our list of relatives and explore the database offered by Ancestry. We found so many new relatives, some of which were located in Europe, out of all places. If you’re adamant about researching your genetic past in-depth, doing a single test is not enough, not by a long shot. Ancestry gave us much more information than FTDNA, but we still have to do the 23andMe test and check their database as well. Ancestry definitely has the best geographical coverage and can tell you the most about your ancient relatives and overall genetic background. On top of that, it’s also great for family genealogists like myself since it gave me access to soooo many old documents I almost started crying when I thought of the time wasted elsewhere.